MANILA – Malacañang said Wednesday it is firm on its belief that the country’s communist movement is forcing President Rodrigo Duterte to declare martial law nationwide. “We stand by the statement of the Armed Forces of the Philippines (AFP) that the Communist Party of the Philippines (CPP) is pushing the President to place the country under martial law,” Presidential Spokesperson Harry Roque said in a press statement. AFP Chief of Staff Carlito Galvez Jr., in a Senate hearing on Tuesday, claimed that Reds are plotting to remove Duterte from office through the “Red October” ouster plot. “The way we see it, the President is being dragged to declare a nationwide martial law, and also most probably a revolutionary government. That is the plan of the CPP-NPA (New People’s Army), to lead the president to a political death trap,” Galvez said. “We will therefore not fall into this trap hatched by the enemies of the State. President Duterte sees no ground to declare martial law nationwide as the whole situation is under control,” he added. Despite the liberation of Marawi five months later, it was extended by Congress at the President’s request due to danger of spillover to other areas in Mindanao. It will end on December 31 this year. 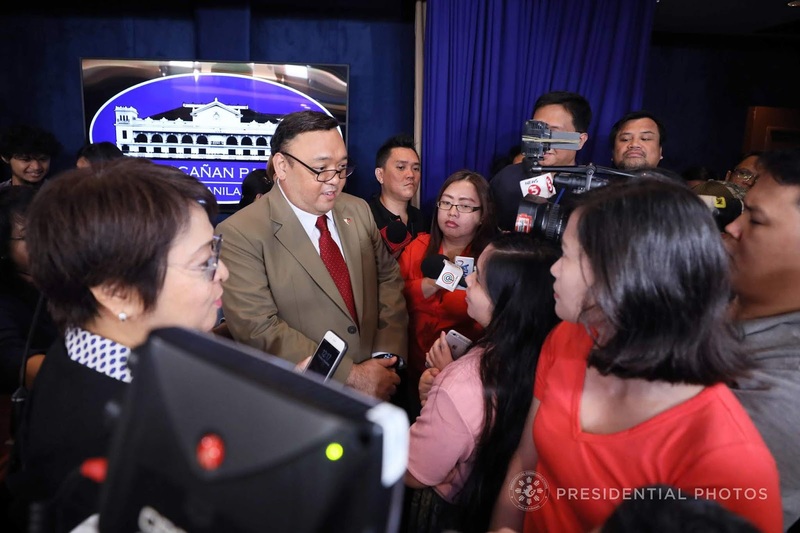 Roque assured that martial law Mindanao is free from human rights violations, unlike the military rule during the Marcos regime. Duterte earlier said he was unsure if peace talks with communist rebels would resume any time soon, admitting that he was “not ready” to talk to them yet. “I don’t know if it could be revived. But I am not ready at this time to talk about talking to the communist(s),” Duterte said in his speech during a Bureau of Jail Management and Penology event in Calamba, Laguna.